More neighbor problems. I tried to write about this, but I don’t like thinking about it. The 30+ year-old daughter of a neighbor was purposely locked out of her parents’ house and roamed the neighborhood begging for tampons, food, and water. When she said “my parents are so controlling,” it took all of my strength not to say “move out then, you’re not 13.” This is the same person who was taken away by 8 or 9 police officers and 2 paramedics this summer. “Spiraling downward” sounds accurate. Worse, she’s intruding on our lives as she reaches the bottom. Remodel the kitchen or move? Is it better to endure a kitchen remodel or buy a new house with a finished kitchen? We’ve been asking this question and it’s a eater of time when you spend a month asking it. The answer? Don’t know yet. We’re still asking the question, but our current neighbors are making the decision to move the more compelling choice. Work. Is an explanation on this one needed? Forza 4 on Xbox. I’ve spent way too many hours in front of the TV practicing this game. And all in the quest to beat my British friend @onlyz after he kicked my arse in a head to head match. You could also title this paragraph, “the downside of OCD.” However, I will be writing a post soon about Forza 4 online racing and some of the people playing it. Not always a pretty portrait of humanity when someone speaks their mind online. Ugly, ugly, ugly. More to come, or not. Maybe I just said what I need to say about it. We’ll see. Yes, that is me. I remember the blonde hair. Not sure about my haircut, or lack of one. Wish my parents has forced me into a barber's chair. 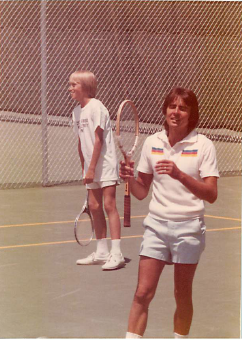 I played tennis with Davy Jones many years ago. Yes, I did. It was a charity tennis tournament for cystic fibrosis and I was 12. Davy Jones was one of the guest celebrities. And I got to play tennis with him and against him. 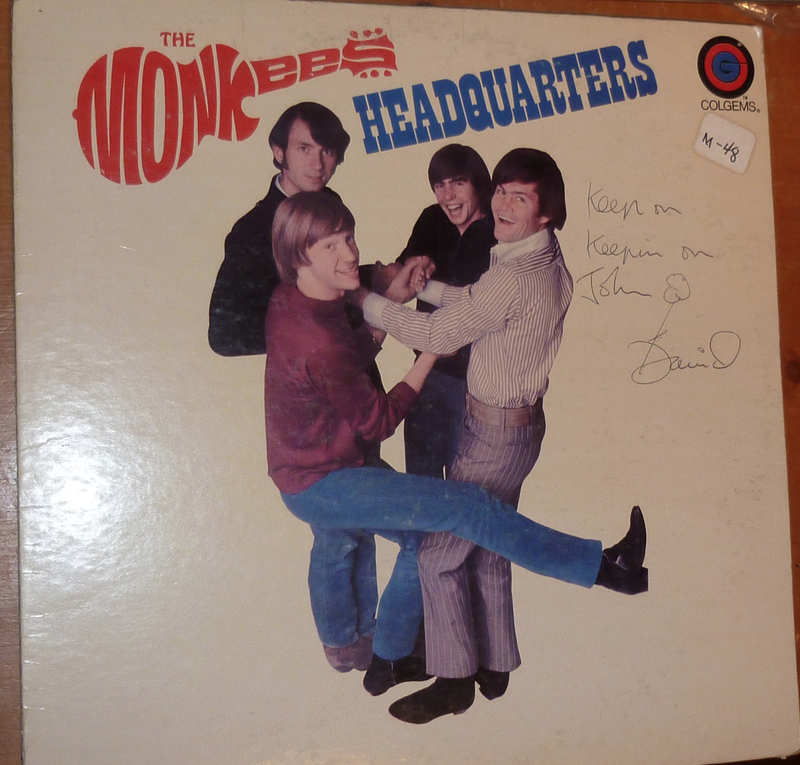 After the tournament finished, he sent me a signed Monkees album and a collection of Harry Nilsson albums, with one signed to me because I had mentioned I was a fan of his. It was such nice gesture and I’ve never forgotten what he did for me. I do wonder if any of us those many years ago would have guessed I would still be alive now? Not I for one. Well, thanks to Davy Jones and everyone else fighting CF, celebrity or not, I am. 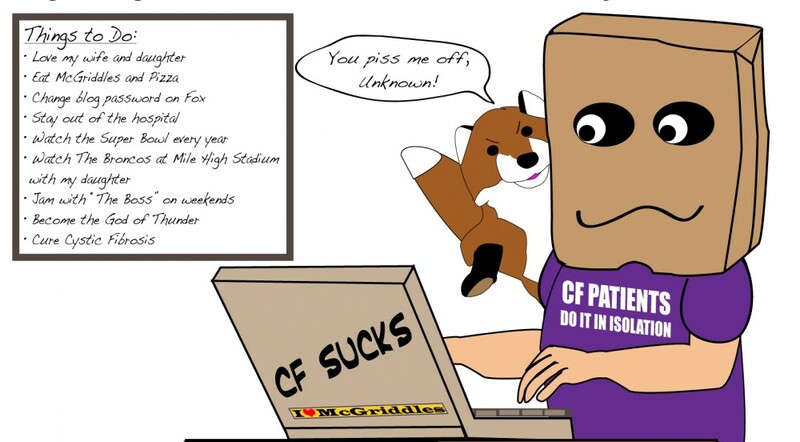 This entry was posted in cystic fibrosis and tagged cystic fibrosis, Davy Jones, Tennis by unknowncystic. Bookmark the permalink. I loved watching and listening to the Monkees on a Saturday morning. Good to see you experienced a friendly Englishman many years before myself & @onlyz! Hey, hey, you and Onlyz could have played parts on that show. He was a very nice guy and friendly to a 12-year old with CF. Sincerely, that was truly awesome. Good to hear from you. Hoping all is well with you. You neighbor girl-woman sounds like a peach! Makes the retired neighbors that mow their lawns at 7:30am on a Saturday (the only day we get to sleep in) sound positively peachy! I’m going to smile and wave next time I see them in honor of you and your weirdo neighbors! I too have been super busy, and not all of it sunshine and smiles – shocking I know. Just life that seems to fly by with so many things on the “to-do” list it seems hard to find a moment to catch my breath. But here I have (found a moment) and I’m visiting you, to say “Whats up?” and “Hows things?”. Hope things are well, and I have to mention that playing tennis with Davey Jones is uber-cool and I’m more than a little impressed!